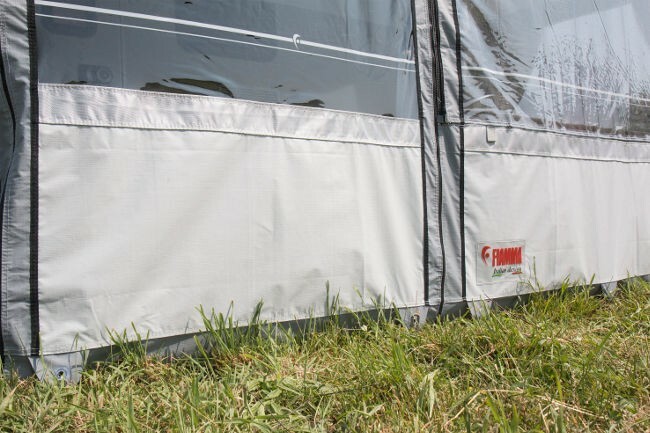 Special version of the Fiamma Privacy Room awning enclosure for use with the CaravanStore ZIP and ZIP XL caravan awning canopies. 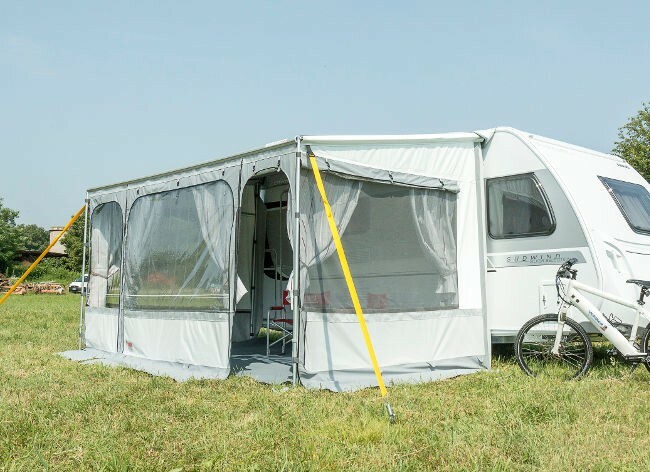 The CaravanStore ZIP Privacy Room is a complete set of 2 x side panels and one front panel supplied complete with all required framework and fittings to attach it to the CaravanStore ZIP Canopy. 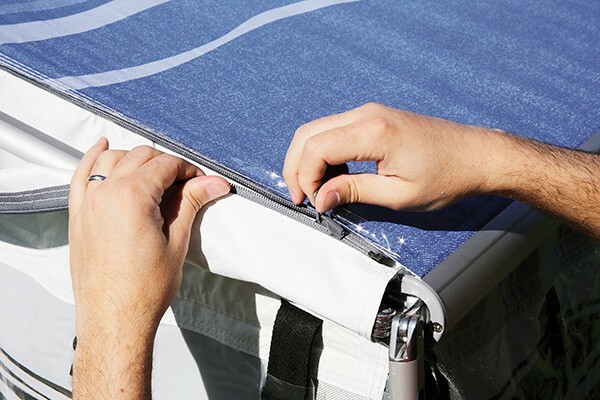 Fitting these panels turns the CS ZIP canopy in to a completely enclosed caravan awning. 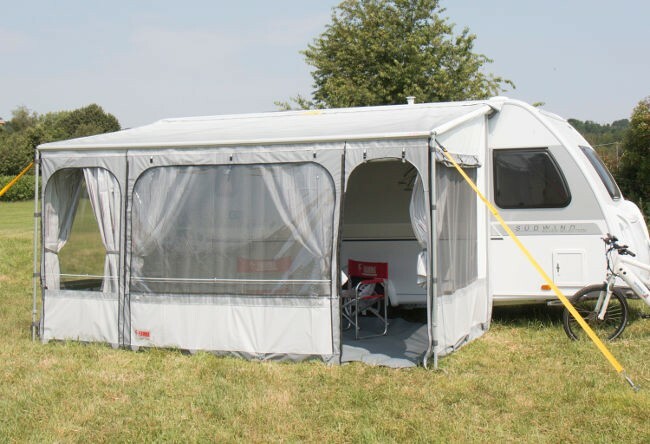 The CaravanStore ZIP Privacy Room panels are fitted with with a ZIP system at the top of the panels which provides a faster and easier way to attach the walls to the awning canopy. The new, restyled panels are more functional and elegant. The new look benefits from widened windows, rounded contours and the insertion of grey colour tones to make the Privacy Room more modern and stylish. N.B. 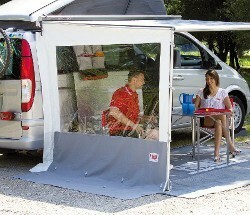 - Fiamma CS ZIP Privacy Room is ONLY suitable for use with ZIP and ZIP XL version of the Fiamma Caravanstore canopy. Video shows complete Caravanstore ZIP system including ZIP Privacy Room. The product on this page is just the CS ZIP Privacy Room. 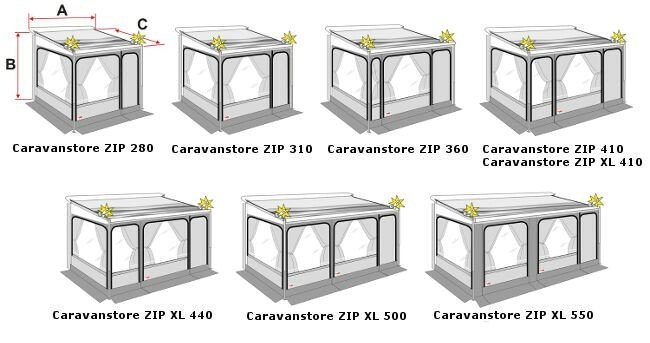 The Caravanstore ZIP Canopy can be purchased separately at additional cost. 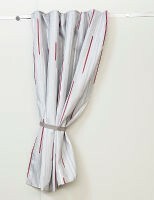 UV resistant, waterproof and washable vinyl fabric in white and grey colour scheme. Just like the canopy material, the Privacy Room is durable and rot-proof. It is flame retardant and waterproof and heavier duty than the CS Light Privacy Room version used on the normal Caravanstore awning. The new, restyled panels give a more modern look and all panels (except door) feature Crystal windows which can be zipped open and are fitted with mosquito nets. 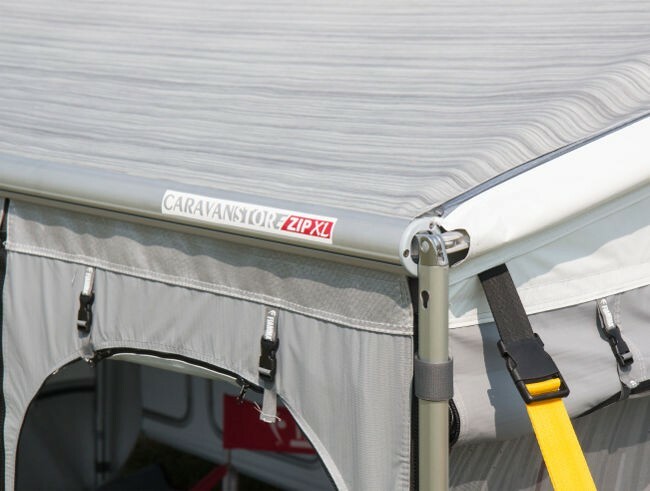 The innovative Caravanstore ZIP system joins the side panels to the awning’s fabric with two special sturdy zips. 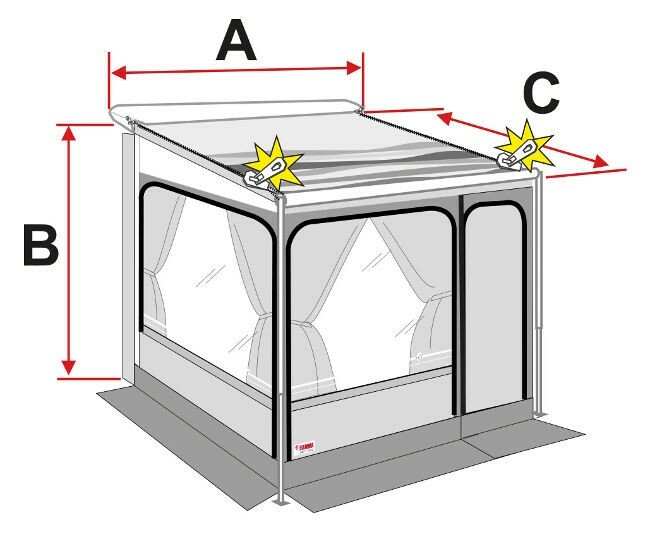 In a few minutes the awning can be transformed into a complete enclosure, doubling your living space. Easier and faster to fit than the clip-system Privacy Rooms. ZIP XL models extend by an additional 25cm from the vehicle (total extension 250cm) to give increased living space, shade an comfort allowing you to make the most of the space in front of your caravan. 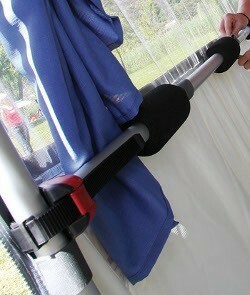 Lightweight pole system to securely fit the Privacy Room side panels. It is low weight and has an easy twist lock mechanism to secure the pole in the extended position so you don't have any clamps or fiddly wing-nuts to contend with. 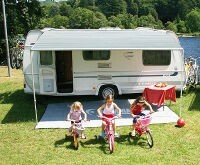 If you have a Caravanstore ZIP XL Canopy, be sure to select the matching size XL Privacy Room. 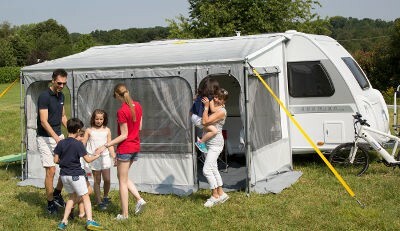 XL Privacy Rooms have 250cm extension so will ONLY fit XL canopies which also have 250cm extension. CS ZIP XL Privacy Rooms will NOT fit older CS ZIP Canopy with 225cm extension. Privacy Room CS ZIP 280 to CS ZIP 410 will fit both new and older CS ZIP canopies with 225cm extension. Fiamma DO NOT supply Curtains with the Privacy Room. Please make sure to buy these as an optional accessory if you require them.